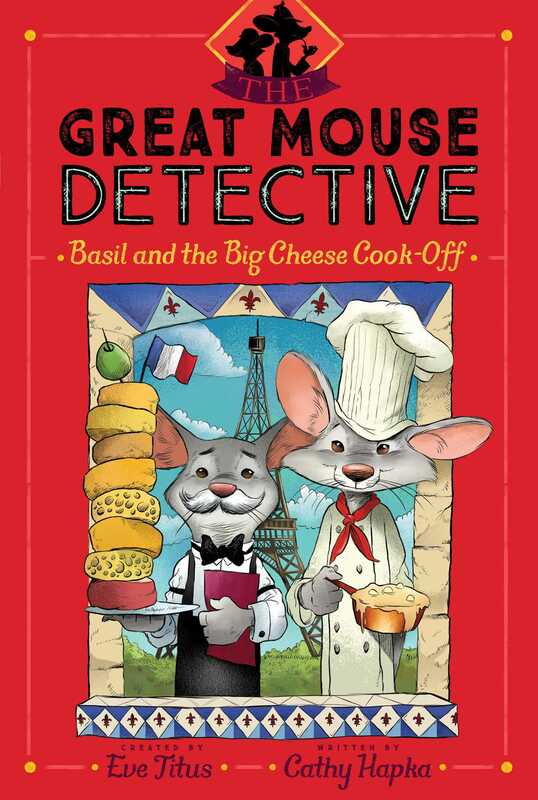 Named one of “13 Detective Book Series You Obsessed Over as a Kid” by Buzzfeed and the inspiration for a hit Disney film, the masterful Great Mouse Detective is back and scurrying off to Paris to discover who’s threatening the organizers of the Great Cheese Cook-off! Basil immediately suspects Ratigan, who has escaped yet again and was seen lurking around Paris (and who, perhaps, holds a particular grudge against the event’s organizers). He sets off on his investigation at the event’s location, the Parisian College of Cooking (where local foodie mice hide out and take advantage of the school’s kitchens after the human students have departed each evening). But Basil is baffled when circumstantial evidence shows that it couldn’t have been his old enemy after all. With one suspect crossed off the list, it’s up to Basil to find out what’s going on—before those anonymouse threats ruin the Cook-Off—for good!